Back in March we compiled the best green industry article of the year (so far). 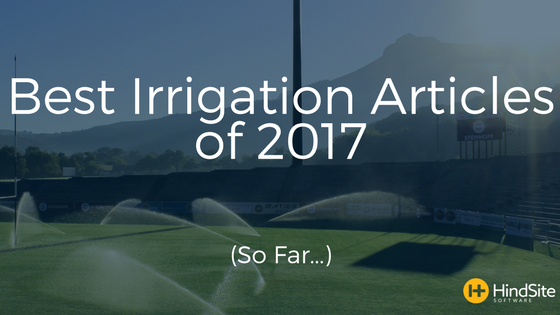 This past month at HindSite Software, we began noticing a bunch of well execute irrigation articles - covering relevant and useful topics. So we decided to do the same for articles specifically written for you, the irrigation professional. Are Landscape and Irrigation Contractors Special? Quit Making the Labor Crunch Worse! Looks like you’re someone who loves filling their head with knowledge. If that’s the case, you’re probably going to enjoy our 2018 Green Industry Benchmark Report. With nearly 60 pages and 60+ charts it’s almost certain to expand your mind.